Simplify the way you process scanned documents. 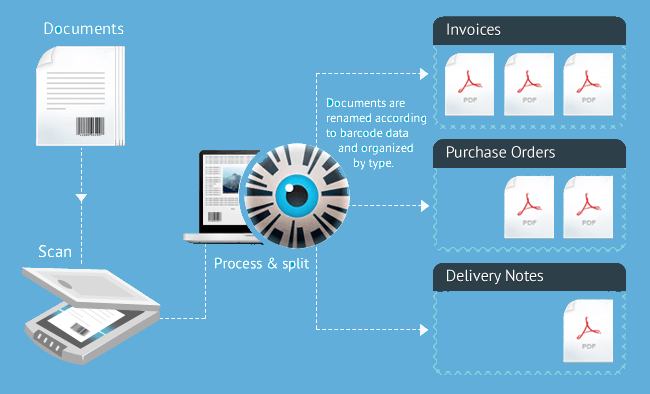 Process your scanned document stack automatically within seconds into archivable documents! Enhance your documents by applying compression, encryption or OCR and optimize them for long-term archiving. BarcodeOCR allows hassle free processing of documents and doesn’t require user interaction while processing. How do I optimize my document workflow? Make sure that you prepare the documents using barcodes which will later be recognized and used for splitting the document. After that, combine different types of documents and scan them in one stack using your default scanner. BarcodeOCR monitors folders and starts processing automatically once the scanner saved the file without any further user interaction. If you need to sort your documents into different parts, i.e. orders, receipts, and invoices, you can setup multiple configurations. Barcodes within the scanned stack will be recognized and the stack will be separated into files using the user defined rules. The file names can be defined as needed; usually the encoded information from the barcode will be used. The resulting documents can be converted to the long-term archiving format PDF/A automatically. For a smaller resulting file size, the files can be compressed. If you like to protect the files from unauthorized usage, you can use the encryption feature. If you want to make sure that the files won’t be changed, you can use certificates to add a digital signature. 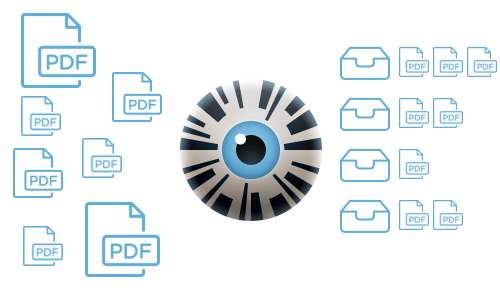 Use the optical character recognition to make your resulting PDF-Documents searchable and combine this feature with the new feature for detecting empty pages to optimize your documents even further. BarcodeOCR already contains a lot of functions, but if you need to add further functionality, you can use own scripts which will be launched from BarcodeOCR. This way you can import the files into your DMS software, sort the documents based on your specific needs or execute your custom functions. This way BarcodeOCR fits perfectly into your workflow! The trial of BarcodeOCR contains all features and can be used for 30 days without any limitations. If you decide to purchase a license, you receive a serial number which converts your trial into a full version within seconds.